When you need help immediately, fumbling for your phone to call 911 may not be quick enough, but having an emergency call button on your wrist would certainly ramp up the response time. Safelet is the newest in personal security devices that allows the wearer to sound the alarm by calling the police and alerting their guardians via the Bluetooth connected app. Discreetly disguised as a piece of jewelry, Safelet also has GPS to let others know where you are and a microphone that you can speak into. No more fumbling for your phone to get help—the Safelet bracelet is an emergency call button at the tip of your fingers. 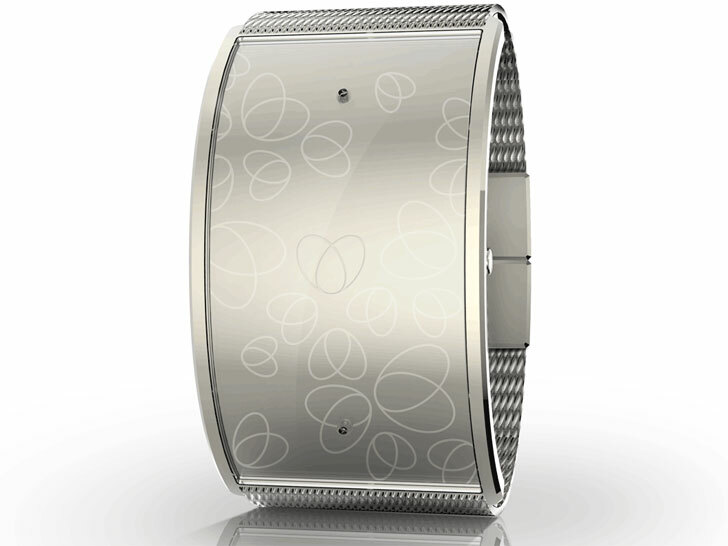 The Safelet is a stylish metal bracelet that conforms to the wrist and offers discreet protection. Looking more like jewelry than a piece of wearable technology, Safelet won’t stand out or scream tech-geek to anyone actually paying attention. The metal case comes in a few different styles, gun metal, silver and gold with optional markings and features a stainless steel milanese mesh wrist band to allows for one-size, fit-all comfort. The device is connected via low energy Bluetooth to your smartphone (iPhone and Android), and an app controls all your settings. Set it up to include your family and friends in your close guardian circle and control who is alerted when you press the two buttons on either side during an emergency. The settings allow you to contact just the police, just your guardians or both together. When activated, Safelet sends out a distress signal to your network and lets them know where you are with help from the GPS. A microphone also turns on and records what you’re saying and relays it to police to aid in your rescue. Safelet is currently being funded via an IndieGoGo campaign and available for purchase at $119 each. You can also buy multi-packs to safeguard your friends and loved ones along with yourself. When you need help immediately, fumbling for your phone to call 911 may not be quick enough, but having an emergency call button on your wrist would certainly ramp up the response time. Safelet is the newest in personal security devices that allows the wearer to sound the alarm by calling the police and alerting their guardians via the Bluetooth connected app. Discreetly disguised as a piece of jewelry, Safelet also has GPS to let others know where you are and a microphone that you can speak into. No more fumbling for your phone to get help�the Safelet bracelet is an emergency call button at the tip of your fingers.